Seeing your child hurting, unhappy, or scared is the worst feeling for a parent. You feel helpless and are willing to do nearly anything to take away their discomfort. Watching your child struggle with anxiety is no different. All children will experience anxiety to some degree during their life. They may be anxious about the dark, going to the doctor, or trying a new sport for the first time. Most parents can anticipate these anxiety-inducing situations and plan accordingly. But what happens when your child has anxiety over many situations throughout the day? How do you help your child navigate going to school, sleeping independently, spending time with friends, or participating in events with large crowds? Below are some eleven powerful tips for parenting a child with anxiety. The most important aspect of parenting a child with anxiety is understanding that anxiety is a real illness. It is not a choice, a behavior problem, or a result of poor parenting. Anxiety is real. It creates physical symptoms and instinctual behaviors tied to the response of the nervous system in stressful situations. Anxiety-inducing situations and responses are as unique as the child they are affecting. There is not a “one size fits all” handbook to follow that will allow you to “cure” or “fix” your child. However, there are very effective treatment options to fit the needs of your child. Learning about anxiety will help you better parent your anxious child. Now that you are aware that anxiety is an illness, educate yourself on how and why it affects the body in the ways that it does. If you have dealt with anxiety yourself, you understand that it is often tied to completely irrational thoughts and fears. However, if you are one of the fortunate few who has not experienced anxiety, it is important to learn about anxiety in order to better empathize with your child. I am an anxious person and unfortunately know all too well how awful and irrational anxiety can be. Seeking help for mental illness is not a weakness. As mentioned, anxiety is an illness. You would get your child help for the flu, diabetes, or migraines. Therefore, you should get help for anxiety. Anxiety can spiral very quickly, going from manageable to severe within a short period of time. With the right treatment, anxiety is an illness that can be managed very successfully. In addition to getting help for your child, I highly encourage you to seek family counseling as well. This is something that affects all members of the family. When seeking help, be open-minded about your options, both with therapy and with possible medications. Always ask questions and do your research. 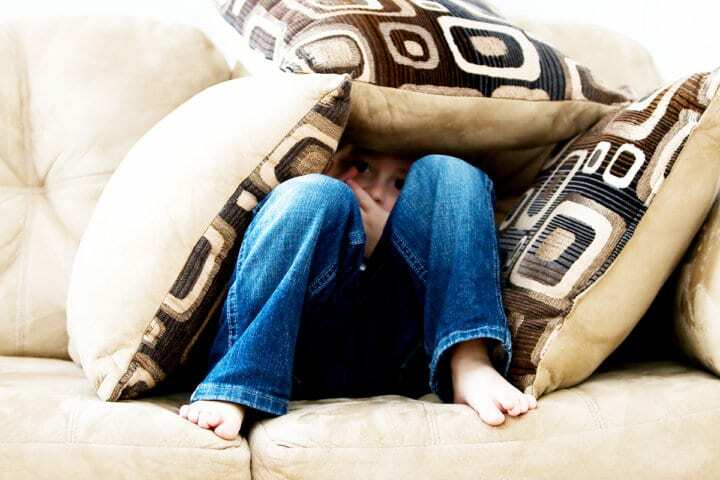 If you are parenting an anxious child with a partner (spouse, grandparent, significant other) it is necessary that both “parents” understand anxiety and the plan in place to help manage it. All too often one parent sees the anxiety while another parent sees it as behavior. Anxious children need consistent support and guidance from the adults in their life in order to battle the anxiety. If a child learns that he or she can “take the easy way out” with one parent but must manage the anxiety with the other parent, he or she will quickly learn to manipulate for the easier route. Anxiety is a nasty beast for any child to battle, taking a lot of time and energy. There are no shortcuts or easy outs in order to get a grip on the anxiety. Early on in my daughter’s treatment, my husband and I committed to going to doctor’s appointments and counseling sessions together so we were both clear on treatment options, parenting tools, and school advice. This was essential for us in dealing with the crisis we faced. It removed any misunderstandings, disagreements, or other issues that we did not have the time or patience to deal with. No matter how silly or ridiculous the anxiety your child is dealing with seems, you must listen to your child and recognize that to them, the fear is real. Anxious children often feel embarrassed by their fears and it takes a lot of courage to share their truth. By listening, you are validating their thoughts and feelings, empowering them to be open and honest. To me, this is the most difficult aspect of parenting a child with anxiety. When my daughter is anxious my anxiety goes through the roof. If your child sees you anxious, their anxiety is heightened.Also, they often feel guilty about the burden they are placing on their family. My daughter is also dyslexic. I do not become anxious or frustrated when helping her read, so why should I lose control when helping her manage anxiety. I make this sound simple, but this has been incredibly challenging for me. To help me better help my daughter, I recently began seeing a therapist for me in order to better remain calm when dealing with her anxiety. If you find yourself losing your cool, find calming techniques that work for you. I have learned to take deep breathes prior to dealing with a situation. I actually whisper out loud (to myself) positive thoughts to get my mind right. It helps to put the situation in perspective. Additionally, I have stopped feeling guilty about taking time for myself in order to recharge. Taking this time to read and unwind helps me remain calm in stressful situations. Many parents have set expectations for their child, and their family. 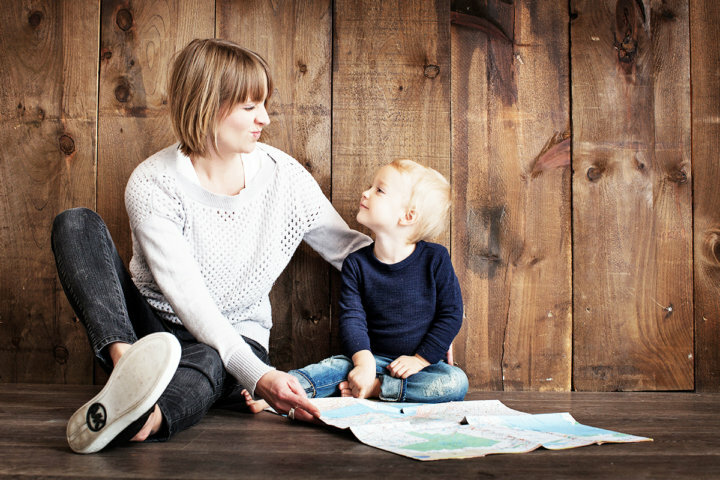 Just as your expectations change over time as your child grows and develops, your expectations will have to change while your child learns to manage his or her anxiety. This does not mean you lower your expectations, it means you are meeting your child where they are at at the moment. Parenting is something that should remain flexible regardless of anxiety, but in the case of anxiety, it is even more important. A key phrase in our life that helps is the idea of “pick your battles.” What is the most important task or event that you want your child to accomplish? Once that is specified, create expectations that lead to success in that area. 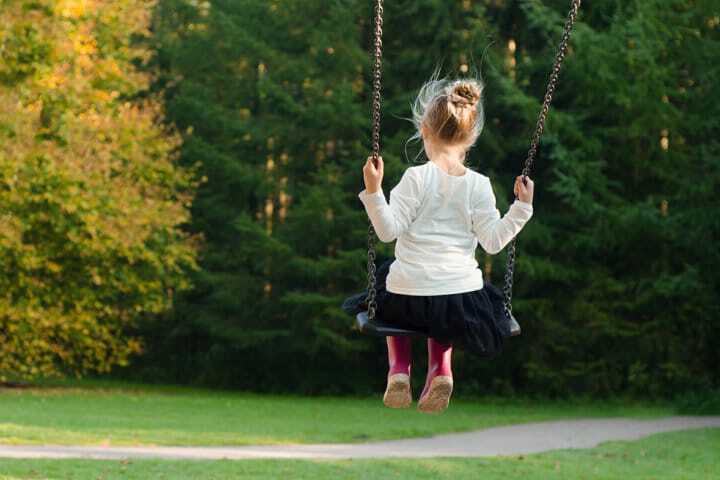 For some children, anxiety can make it very difficult to do the simplest of tasks. It is important for parents to praise the effort a child is putting into working through the anxious thoughts or activities. Nothing is ever simple or easy and children need to now that their efforts are worthwhile. Just like practicing math facts, basketball skills, or dance moves leads to improvement, working through anxiety leads to more success at managing it.You must realize the hard work your child is putting into overcoming anxiety and praise their work. 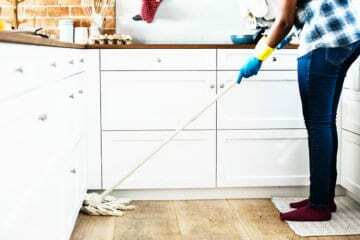 I had a hard time praising things like walking upstairs to the bedroom alone or spending five minutes alone in the living room but that was a challenging task for my daughter when she hated to be away from me even for a few seconds. Those tasks were hard for her, but when she did them successfully, she deserved to be praised for the effort. Over time, I realized how those tiny successes lead to huge improvements in overcoming her severe separation anxiety. Being anxious causes the flight or fight defense to kick in whenever triggered. Once this is triggered, rational thought cannot take place. This means that when anxiety is triggered, a child may not be able to continue moving forward with plans as expected. For many, getting ready to leave the house can take much more time than when a child is not anxious. This can lead to stress for the whole family. Planning for extra time whenever a set timeline is necessary allows for less stress and more success. I learned that we had to allow an extra 30 minutes each morning before school in order to avoid my stress levels getting out of control as I feared I would be late for work. Without fail, you are going to encounter situations where your child will be judged on their behavior caused by anxiety. People will make false assumptions, thinking your child is misbehaving. In such instances, you must be your child’s advocate. It is up to you to educate those involved with your child about the realness of anxiety and the ways in which they can help your child succeed. Be sure to meet with school administrators, teachers, coaches, family members, and friends letting them know the challenges your child is currently dealing with. Ask for their support in making sure activities meet the needs of your child. For example, your child may want to attend a birthday party but needs you to hang around rather than dropping him or her off. In this case, talk to the parent, asking how you can work together so that your child can enjoy the party like the other children. Anxiety zaps all independence and confidence from the strongest of children. It is important that as a parent, you make sure to build their confidence in areas of strengths even while dealing with anxiety. Make sure your child is always aware that they are not the anxiety, rather it is a challenge they are working to overcome. Your child needs to hear that they are smart, brave, creative, kind, and strong in spite of the way anxiety attempts to overtake their life. One of the first things you will learn during therapy is that you must not avoid anxiety-inducing situations. As parents, we want to shield and protect our child from anything that causes discomfort. In the case of anxiety, we want to remove anything that may trigger the anxiety. While it is important to note what causes anxiety in your child and to make accommodations to help them manage, your child must face these stressful situations in order to overcome his or her anxiety. This is why it is so important to deal with anxiety early on and why the guidance and support of a professional is necessary for long-term success. That’s why you must stop enabling your child and instead, empower them. 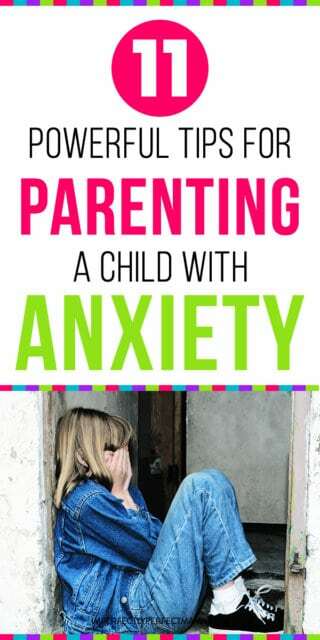 Parenting a child with anxiety is just one of the many challenges that face families. With the right support and guidance, your child will be able to overcome the obstacles presented by anxiety and move forth with the confidence in themselves to handle whatever challenges may arise over their lifetime. Hello. My name is Colleen and I am the mother of a 13-year-old girl suffering from severe anxiety and OCD. This is our journey as we do our best to enjoy the small moments each day, keeping the beast of anxiety from taking away the joy of life. In addition to being a mom and wife, I am an elementary teacher who loves the wide-eyed excitement experienced by a student when the "ah ha" moment strikes. My children's laughter, waves crashing on the beach, the smell of new school supplies, and fresh baked cookies are four things that bring instant happiness.